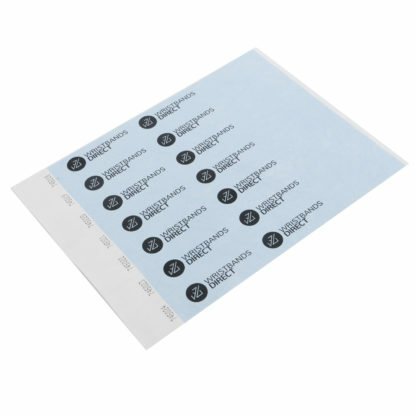 These tyvek wristbands are an inexpensive but tamper-proof means of identification. Available in 10 bright colours, they can be customised with your logo, branding, or message in plain black print. Tyvek wristbands are made from a durable and waterproof paper-based material and use a peel and seal method of attachment that fits any wrist size (so ideal for both adults and children). 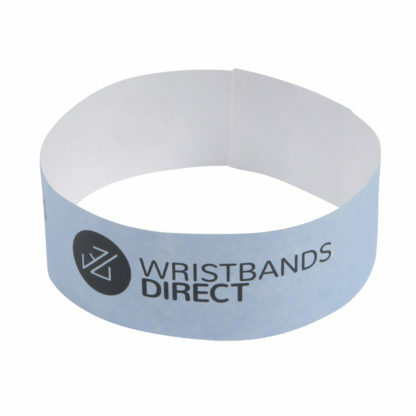 Once secured, a tamper evident adhesive prevents the wristbands being removed and re-used. To remove, simply snip off with scissors. Delivery 1-2 working days from approval of a proof.